In six short weeks, Ms. Uptown Girl will be married. 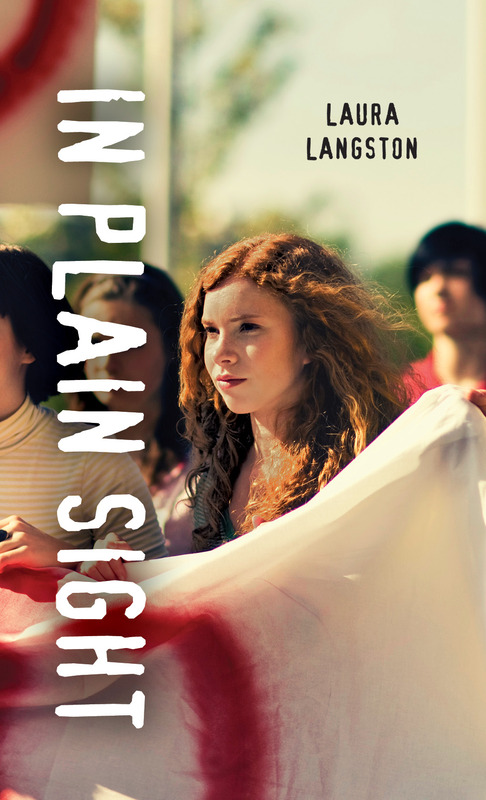 She’ll need a name change for my blog at that point since she’ll no longer be a Ms. or living uptown, but I digress. In order for the wedding to proceed with any kind of class, I need a fascinator. Ms. Uptown is marrying into a British family (not that British family obviously) and the wearing of hats and fascinators for weddings, even a relatively simple 70 guest affair taking place outside beside the ocean, is something one does. The groom’s mother is wearing one, a number of her friends are wearing them too, and while I haven’t been told I must, it does seem a little, well, lacking in enthusiasm (if not taste) for the bride’s mother to turn up hatless. And so I began to shop. Selection was thin to non-existent; I even struck out in the big city across the pond. There was nothing remotely suitable. I was either looking at hats big enough to power a small helicopter or pieces of lacy frippery designed more for a baby’s head than mine. Ordering on line was out of the question. I wanted to try it on for size and comfort, and it needed to work with whatever I ended up wearing. I was about to be hatless in Victoria. The idea of having a fascinator made hadn’t occurred to me until I ordered my dress. 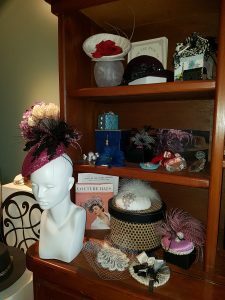 When I mentioned then that I was looking for a fascinator and having some trouble finding one I liked, they pointed me in Lynda Marie’s direction. She works out of her studio in Victoria where many of her creations are on display. I quickly fell in love . . . with her style and with her enthusiasm. Shopping had never been so much fun. She told me about her training in England where she studied under a milliner to the Queen Mother . . . and then how she’d trained in New York where she honed an edgier, more contemporary style. 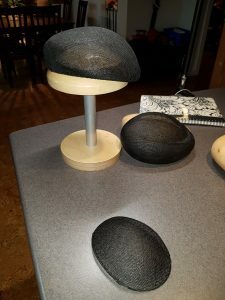 I learned that hats are made from hat block forms or moulds . 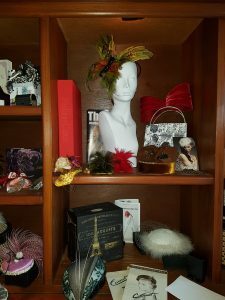 . . that fascinators are light, decorative headpieces usually made with feathers or flowers or beads . . . and that those larger fascinators we saw on display at Harry and Meghan’s wedding are referred to in the trade as hatinators. I learned that the sky is the proverbial limit in terms of color and style and all the fun, frippery bits that go along with it. As I write this, Lynda Marie is working her magic and creating something just for me. I can’t wait to see what she comes up with. Check back because when she’s done and after the wedding, I’ll post a picture. I’m sure whatever she creates will be gorgeous! 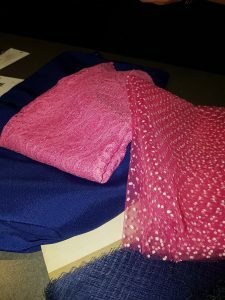 Share the post "Hat (soon to be) In Hand"
I’m sure that your designer will come up with something fabulous! It is indeed a special time, Jodie, and we’re all very excited! Thanks for stopping by! Lovely! 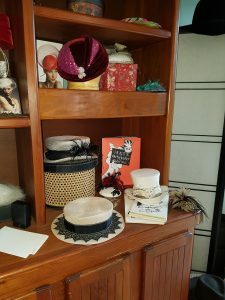 I hope to get one made one day, there are so many amazing hat makers in Victoria! It is so great! It is wonderful here! So many creative types.